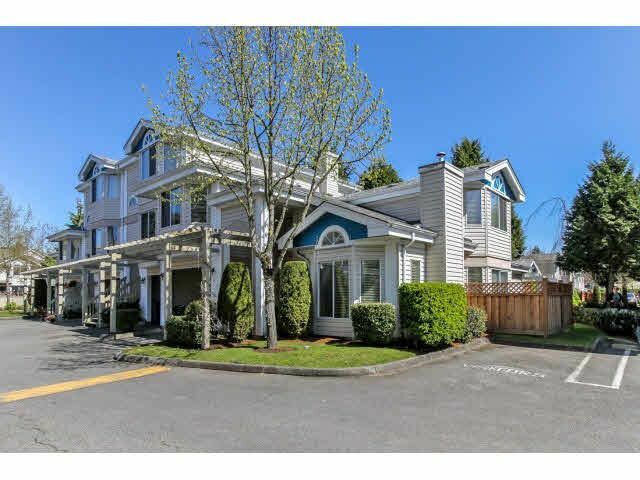 Welcome to a rare 2 level, BRIGHT, GREAT LAYOUT, END unit townhome. Located in a quiet area in the GATED complex. FULLY FENCED backyard, great for privacy, kids playing or pets. This home features large vaulted ceilings, gas fireplace and large family room, perfect for entertaining. Large bedrooms upstairs with an ensuite in the Master. Great location, walking distance to schools, transit and many stores. Roof redone in 2009.